Chiang Mai is filled with places to work. From coffee shops, to cafes, to hole in the wall diners that make ridiculously amazing food, Thailand has it all. You could go to a new place every single day and find inspiration for years. But where do you go when you need a longer work session with reliable Wifi, really good coffee, and comfortable seating? 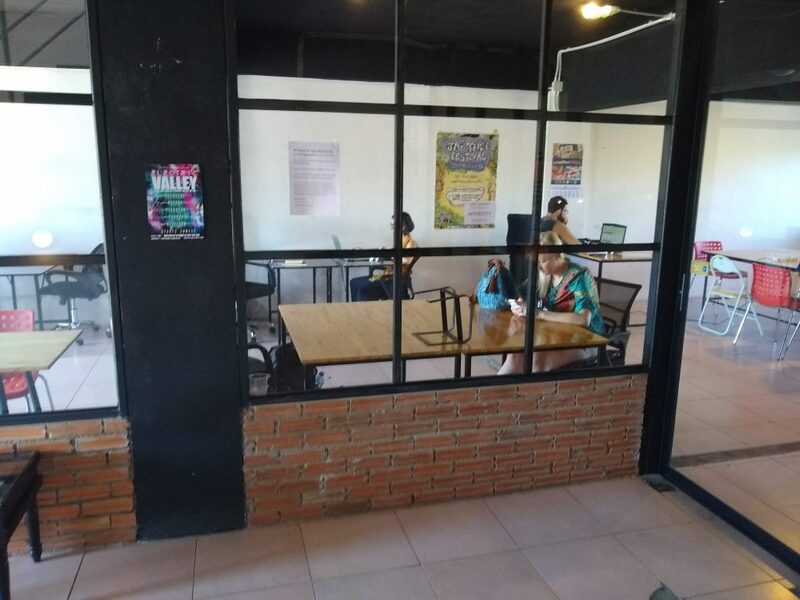 Enter coworking spaces, and there are tons right around Chiang Mai. Black Canyon Coffee in the mall. Good wifi and comfy seating and end up paying less if you stay awhile. Let’s give a rundown of each of these places with my review shall we? MANA is one of my favorite places in all of Chiang Mai. It’s the best coworking space you’ll find in the entire city. My wife and I spent many hours here working in their private rooms, and I had quite a few sessions on my own digging deep into the writing of my next book. The owners are a lovely couple who work to keep you filled up with tea and cold water, and the atmosphere is conducive to solid work. Cost: 25 baht per hour or 150 for a day pass (with free drink). If you want the private room it will run you 200 baht for 6 hours or 40 baht per hour. If you’re a couple, this makes the most sense as it’s cheaper than getting separate day passes. 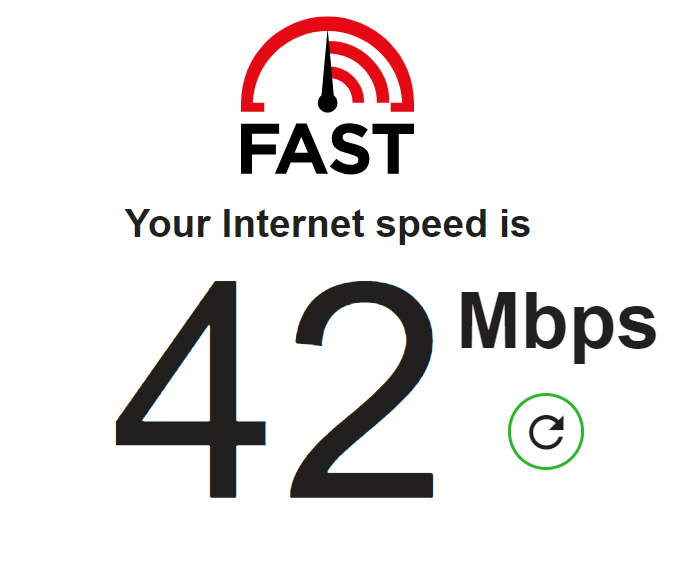 Internet: Blazing fast speeds and two separate connections so if there is ever a problem you can easily switch. Food: You can purchase hot or iced coffees for 20 baht (first drink) and they have bagels and croissants as well. Seating: A variety of super comfy office chairs. Atmosphere: Very little talking and a generally good atmosphere. The only thing that I didn’t like is that they let cats into the room and unfortunately the cats like to drink from any unmanned water cups. I’m not a huge fan of cats as I used to be allergic, so if you are allergic you will either need to say something or pick another place. Wake up Coffee is open 24 hours which makes it a convenient place for digital nomads. 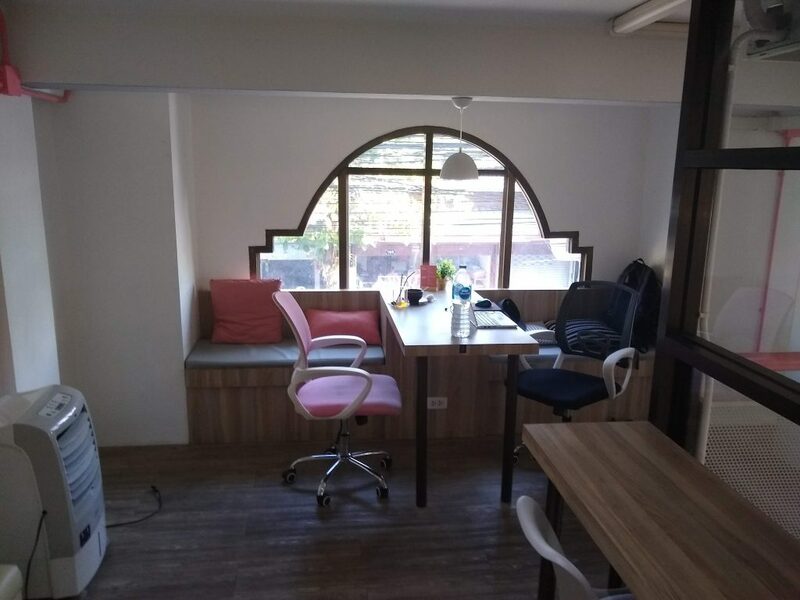 On the second half of our stay in Chiang Mai we happened to be staying next door which made it hella easy for us to pop over and get work done whenever the need arose. It ranks as #2 on my list because of it’s good Wifi, comfy seating, and ease of access. It’s a good cross between a coworking space and a coffee shop as you don’t feel guilty staying all day (which we did on several occasions). Cost: In order to use the WiFi you need to buy something from the front. As long as you spend over 50 baht you’ll get a pass for up to two devices to use the internet for 4 hours. Internet: There were a few times the internet stopped and seemed to have issues, but these were few and far between. For the most part no issues were present. Food: The coffees were really good. My favorite was the mocha banana hot drink (99 baht). They also serve breakfast type items as well, but the selection isn’t varied (just a croissant with some breakfast items on it). Bonus! There is a Subway attached to the building if you need a break from rice and chicken. Seating: What you would expect from a fast food joint. There are some table and chairs and some booths. The seats are comfier than most seating in Chiang Mai, but don’t expect any office chairs here. Atmosphere: Overall quite conducive to getting work done. There is a space on the 3rd floor that’s open from 11AM to 3AM that’s a dedicated work-space. Besides the fact that it isn’t 24 hours, I’m not sure what’s different about this space than the first or second floor, but it’s comfortable. 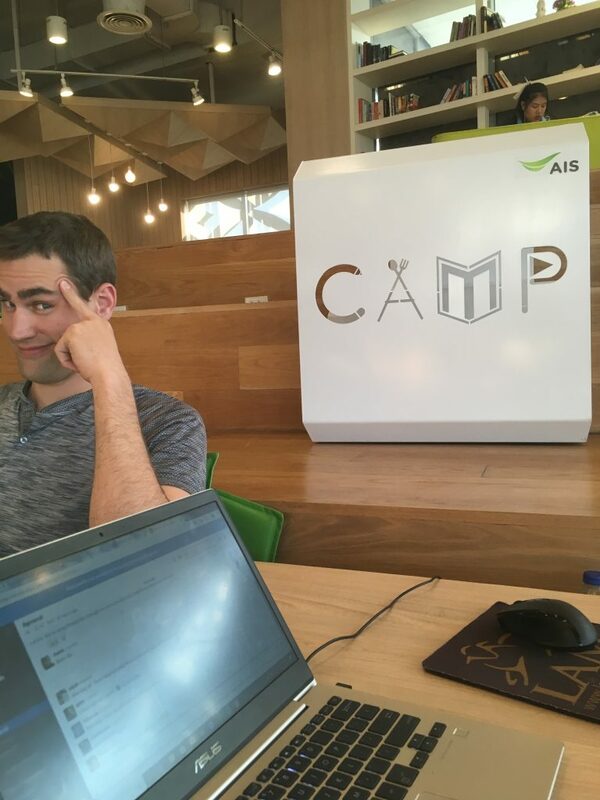 Camp is a great place to go to get work done. The only problem is that it’s in the MAYA mall which provides ample distraction if you are prone to that sort of thing. There is a theater right down the hall that could make for a nice work break, and food and shopping spaces galore. Cost: In order to use the WiFi you need to buy something from the front (>50 Baht). It’s similar to Wake Up, but instead of lasting four hours you only get two. I found this highly inconvenient as we had to get back up and running often. 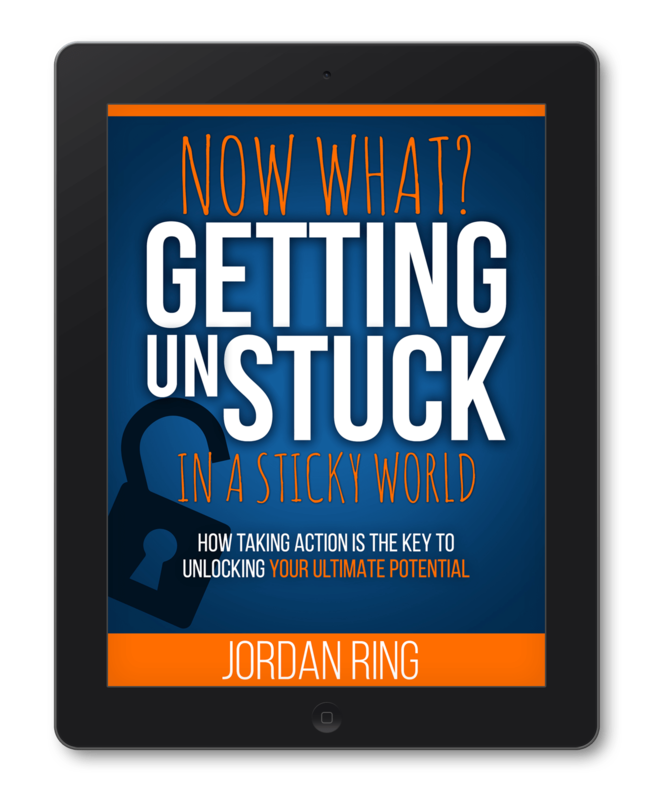 If you stay for a day long work session you could end up getting kicked off several times. It’s more annoying than anything. Internet: Once you get on and get going the internet is fine. Food: The coffee is really good, and they have a few baked items for sale too (we tried the cookie and the whoopee pie for research purposes and they were excellent!). You can also step away at any time and hit up any of MAYA Mall’s nicer restaurants or check out the bottom floor for some good prices on food. Seating: The seating is the worst part about CAMP. It’s extremely uncomfortable for any great length of time. It’s definitely designed with college students in mind (whom I guess have a high tolerance for weird seating?) as the place is always packed to the brim with them. We ended up going here quite a bit at first, and then stopped as there are comfier places nearby. The place was designed with aesthetic in mind and not ergonomics. Atmosphere: Easy to get work done if you can find a comfy place to situate yourself. We went to this place once. It was neither bad nor particularly amazing. One of our problems is that we ended up comparing everything to MANA and kept going back there instead, but In the City was always at least an option on the table for us to consider. I liked it and would definitely go back. 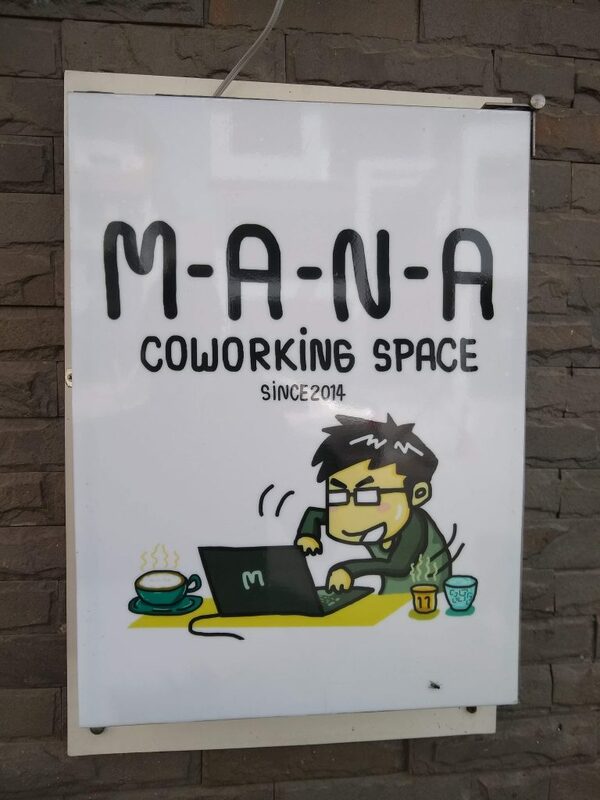 The problem is that this place is a 24 hr hostel and coworking, but this means that they don’t always have someone manning the front desk. We went on a Sunday and had to wait to be able to get a day pass to get into the WiFi. I can see this not being an issue if you stay at the hostel, but it makes it tough to know when you can go and get access reliability. This is one of the reasons we didn’t go back because we didn’t want the trip to be for naught. Cost: The day pass is 150 Baht. Internet: Fast connection no problems. Food: Free coffee, snacks, and fruit. We made sure to eat our fill :). Seating: Comfy office chairs and nice tables. Atmosphere: Comfy and quiet but warm enough to be uncomfortable. If you like it super hot you might not have a problem with it, but we were a little bit overheated by the end. 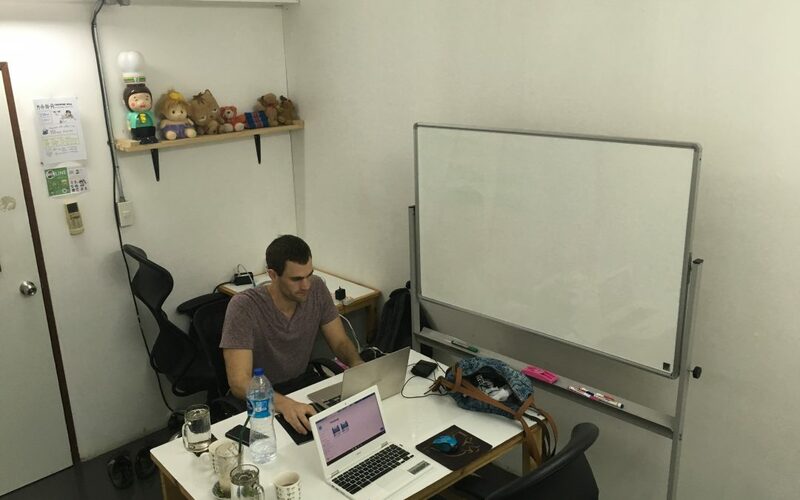 I love how different the coworking spaces are in Chiang Mai! This one was probably the most unique. It was a cross between coworking and cafe. We went several times and would definitely go back. Cost: Drinks are anywhere from 60-100 baht and you’ll need to purchase one to get on the Wifi. Internet: Fast connection no problems. Limited to one device (from what I remember) so this would be difficult if you needed to have your phone online too. If you have a PC you can turn your connection into a mobile hotspot, and I am sure there is a way to do it for MACs too. Food: Basic coffee and food items to purchase. Nothing to write home about but good nonetheless. Seating: Comfy office chairs and nice tables. Regular chairs were comfy as well. Atmosphere: The atmosphere was nice and the aesthetic really good, but we did encounter a grumpy barista a time or two. 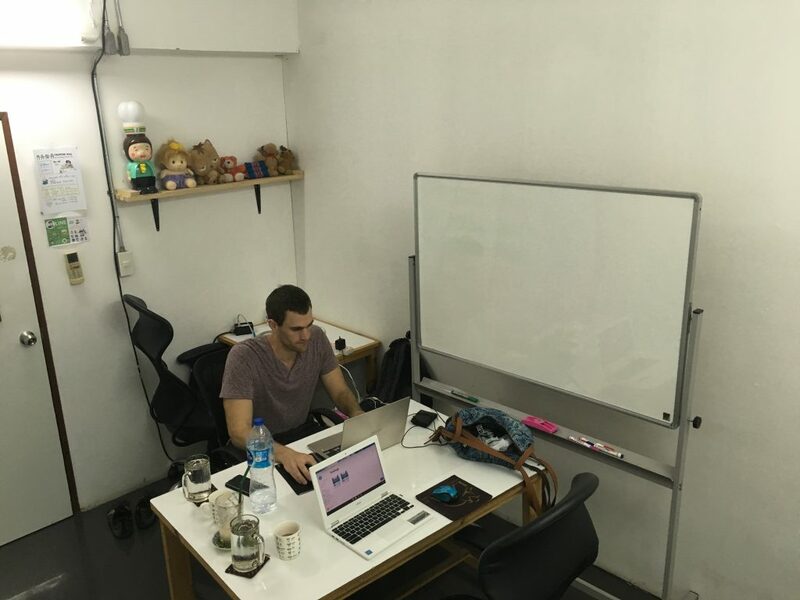 I finally got around to checking out the most well-known coworking space in Chiang Mai on the second to last day in this wonderful city. It’s a full blown coworking space with comfy seats, good internet, and free snacks, but it’s almost twice as expensive as anywhere else on my list. If you were staying for awhile a monthly pass might be a good option, but just trying it for a day will knock your wallet back. Cost: Day passes are 289, weekly passes are 1,699 and monthly passes are 3,899 (baht). So for only $120 US you can get full time 24/7 access for a month. Not bad. Internet: 3 Wifi portals and blazing fast speeds (for my purposes anyway). Food: Basic snacks and free coffee. You are super close to the east gate and plenty of good food options too. Seating: Comfy office chairs and nice tables. The best seating of any coworking space I’ve been too. Atmosphere: A Big open room with the perfect amount of white noise. I found it easy to work and free of distractions. No one talked while I was here. 7) Black Canyon Coffee in the Maya Mall. Good WiFi and comfy seating. You don’t need to buy anything technically for the WiFi as it’s not password protected. This means you could potentially get a cheap cup of tea and spend the whole day there. Cost: Drinks are anywhere from 75-100 baht. Internet: Good connection with no barrier to entry. 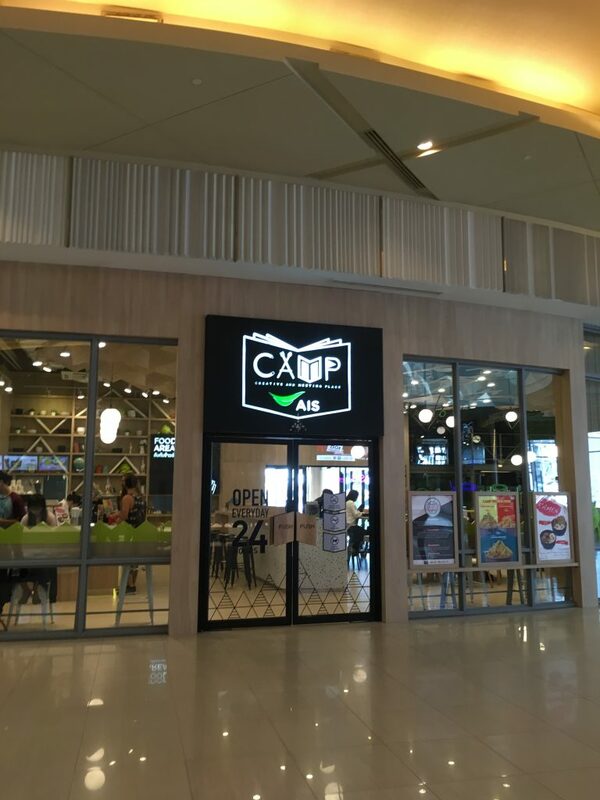 Food: Really good coffee, tea, and food options albeit not the cheapest around. Seating: Comfortable booths and tables. Atmosphere: Not too loud. Just the right mix of comfort and sound. Brick Startup: Place looked nice on Google but I didn’t make it over there. The fact that most of the reviews were from several years ago gave me pause. You never know in Chiang Mai if a place is going to be open or not. Kitncaboodle: This place was actually NOT open on a Monday at noon. The hours on Google said it was going to be open from 10AM-7PM. Walking all the way there and seeing a place that seems as if it hasn’t been open in months isn’t the best way to start your work day. Looked like a cool place. Too bad. Have you been to any others? Any details I missed here? Please feel free to comment below! Enjoy your time in Chiang Mai!